In a move that defines the term “monumental stupidity”, Lenovo has been delivering laptops with pre-installed adware that totally exposes their customers data since last fall. Built into Lenovo’s version of Windows is a piece of adware called “Superfish”. This software intercepts advertising being delivered from pages you visit and replaces it with their own advertising. Pretty scummy, but, that’s just the aggravating part of it. The real problem is that a single self-signed root HTTPS certificate is used. Think about this for a minute. When you use that new Lenovo with Superfish installed a single password, to a single root HTTPS authority exposes everything that would normally be encrypted. Passwords, Credit Card Numbers, etc. And, that password has now been published online. What to do? Well, the only real way to clear the problem is to completely wipe the hard disk of your Lenovo. Then reinstall Windows (NOT THE LENOVO VERSION). And then, change every password to everything. It appears that the “Russian Mob” has pulled off something big… Stealing 1.2 Billion (yes, with a B) usernames and passwords from a wide range of sites. Anytime something like this happens, OPENRSM suggests you change everything. Including usernames, passwords, on all accounts and computers. The New York Times has the story…. It seems to be Apple’s turn in the data wars between “fast buck” artists and real companies. Apple iPhones/Pads are locking up all over Australia and the UK and being held for ransom by a scammer that has managed to gain control of the devices. Apple has yet to comment but incidents in the US can’t be far behind. The “Find My iPhone” service seems to be the only link between the users whose iPhones and iPads are being “held hostage” by the scammers. Last nite, an official PayPal blogpost contained nothing but a title… “eBay, Inc. to Ask All eBay users to Change Passwords.”. Which was quickly taken down only after being tweeted and posted to Facebook many times. Later, Ebay reported on it’s own official blog that their corporate network security had been breached… In late February and early March. What to do? Log on to your EBay account and change your password! And do the same with your PayPal accounts (as PayPal is owned by EBay and data is shared between the two (i.e. sharing the same corporate network). It has come to our attention that there are serious flaws that have been identified in Sophos Anti-Virus by security researchers at Google. OPENRSM has never used, nor provided, Sophos Anti-Virus. And it seems that our own internal evaluation to not provide or support Sophos has been sustained (for additional reasons) by Google. 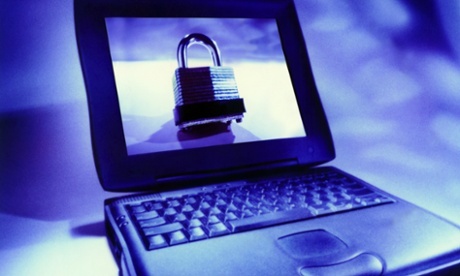 You can read more about the findings that Sophos is insecure HERE. And you can always call 816-200-2220, or email [email protected] and OPENRSM will help you with your IT questions. Ever wonder why there seems to always be a PC that’s slow, infected, issuing pop-ups, redirecting your Google searches, etc? It’s because they’re infected! “But we have anti-virus installed on all our machines” is the usual self-denial cycle that sets in. Usually followed with “why can’t you keep this from happening? Your the expert here?”. Which is a valid question. And now, what we’ve been telling our customers for years has been documented. “Zero Day” exploits in Windows, Applications, etc. go for MONTHS WITHOUT THE SECURITY PEOPLE KNOWING IT! An article in Forbes (click HERE) tells the tale. The people who publish software are often unaware of their own security weaknesses for months on end. Ten months is the average. This means that your anti-virus/malware software won’t even know about the threat from a “Zero Day” exploit when you click that dubious link that causes your system to become infected. Which is exactly why you have PCs in your business that get “infected” with malware, adware, etc. And it’s exactly why every business needs to have a company like OPENRSM taking care of your critical business network and systems. Having people that understand the cold hard realities of protecting networks and pc’s and more importantly, being able to get rid of malware and viruses without your anti-virus protection even knowing that something is wrong. Many of our Friends and Customers know that OPENRSM is a proud supporter of Scouting and Scouts. And on this Independence Day we’d like to pause and think not only of our own Freedom’s and Liberty. But also how it is also celebrated by the “Good Turn” done daily by Scouts. A case in point…. 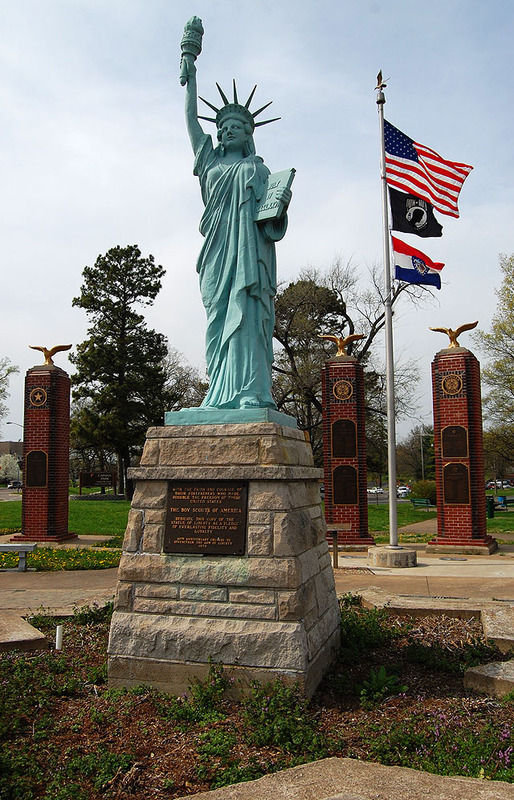 The many replica Statue of Liberty installations across America. The Boy Scouts of America celebrated their fortieth anniversary in 1950 with the theme of “Strengthen the Arm of Liberty”. Between 1949 and 1952, approximately two hundred 100-inch replicas of the statue, made of stamped copper, were purchased by Boy Scout troops and donated in 39 states in the U.S. and several of its possessions and territories. The project was the brainchild of Kansas City businessman J.P. Whitaker, who was then Scout Commissioner of the Kansas City Area Council (now known as the Heart of America Council). Over the years many cities and towns have benefitted from the gift from their local Scout Troops. Some of which have been expanded into a mini-pavillion celebrating America’s Freedom, and the sacrifices made to preserve our freedom. One of note is located in Cape Girardeau, MO. The local VFW and American Legion have generously added to the monument with a listing of those from the area that have sacrificed all for their country. With the same local Scouts, Scout Troops, and others pitching in to both maintain and improve a local symbol of the Liberties and Freedom’s we enjoy. The Scouts continuing to “Do a Good Turn Daily” for all of us.